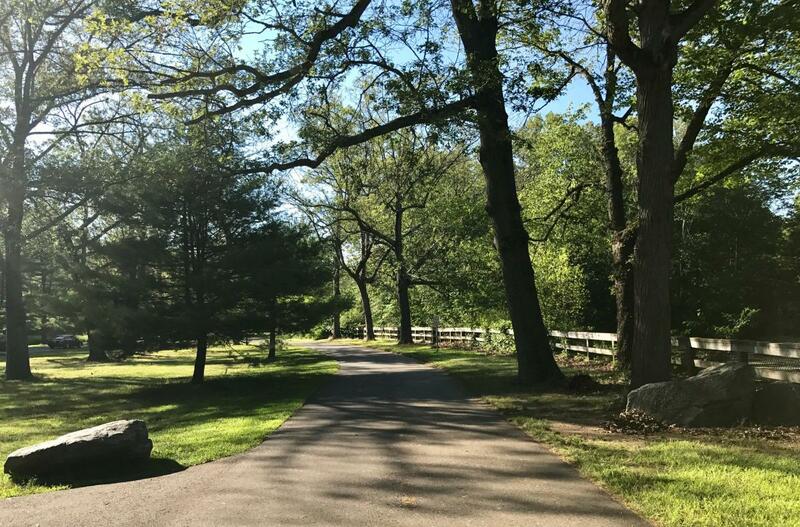 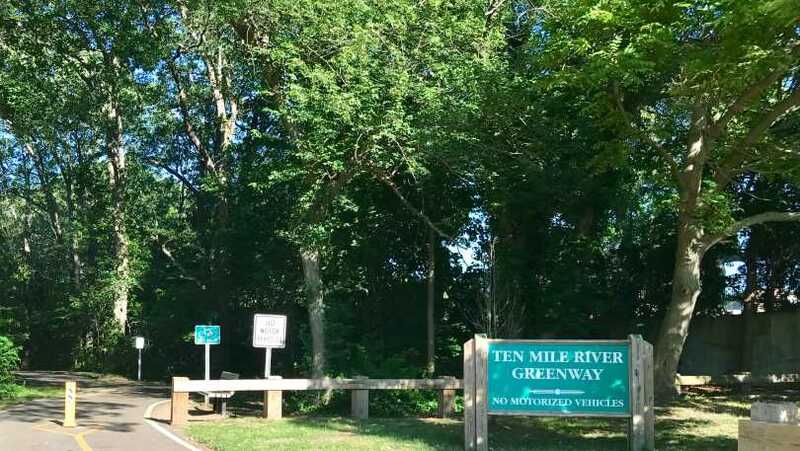 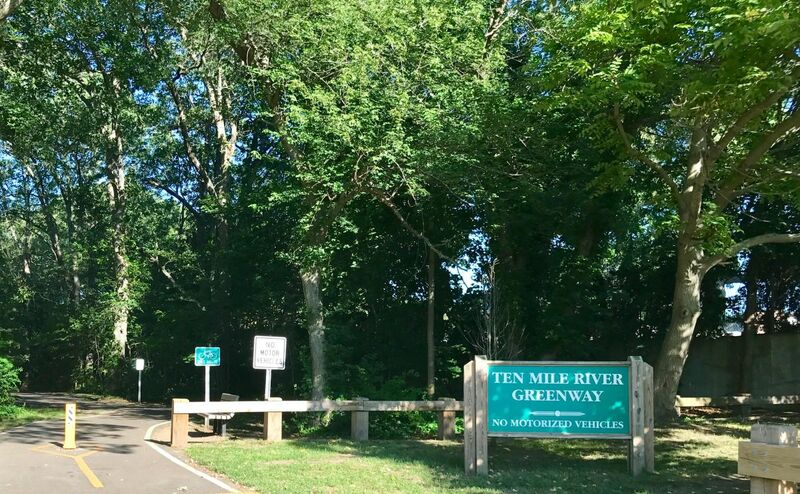 The Ten Mile River Greenway was built in 2004 to connect Slater Park in Pawtucket to the Kimberly Ann Rock Memorial Athletic Complex in East Providence at a distance of two miles. 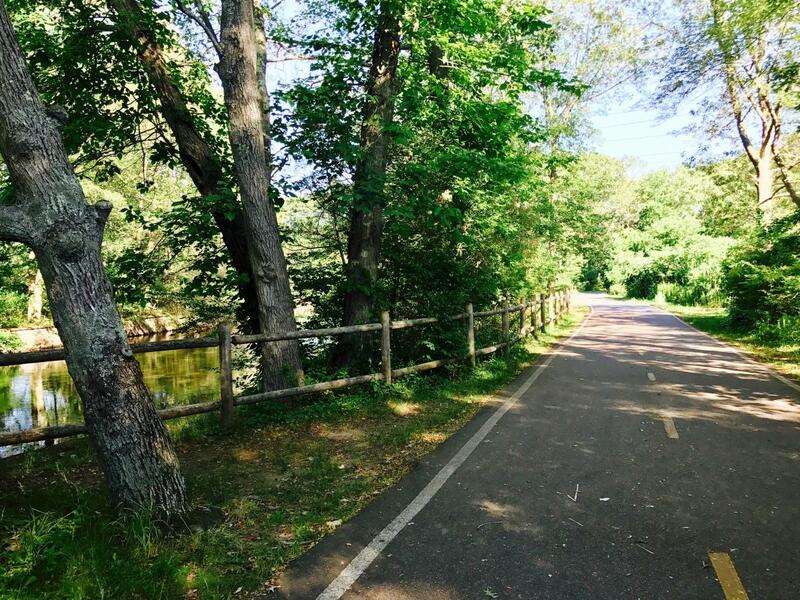 It is one of the few bike paths in Rhode Island that was not built along a former rail corridor. 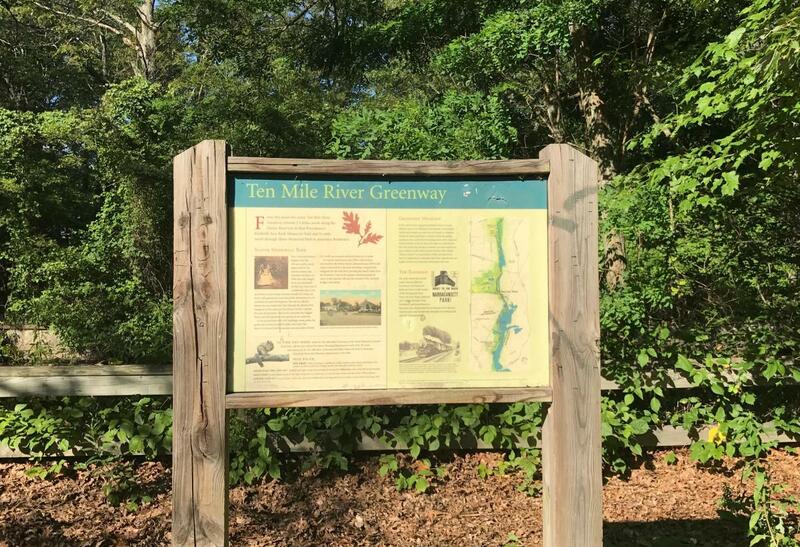 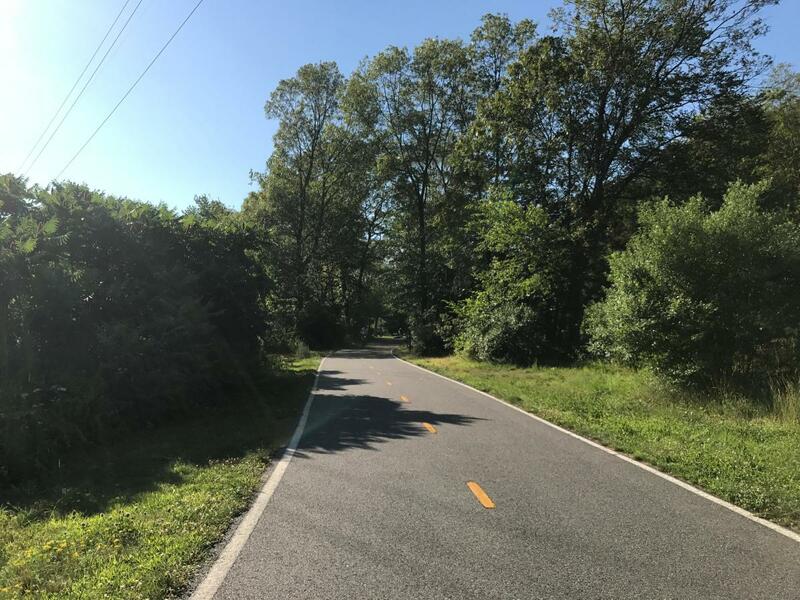 This means the path follows the natural contour of the land and provides a very scenic ride along rolling terrain on the banks of the James V. Turner Reservoir. 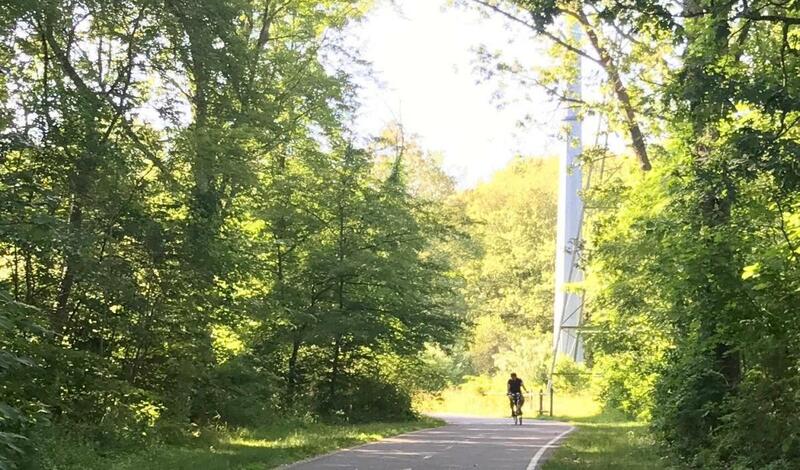 In Slater Park, many other riding opportunities abound, including easy access to the historic 1894 Looff Carousel. 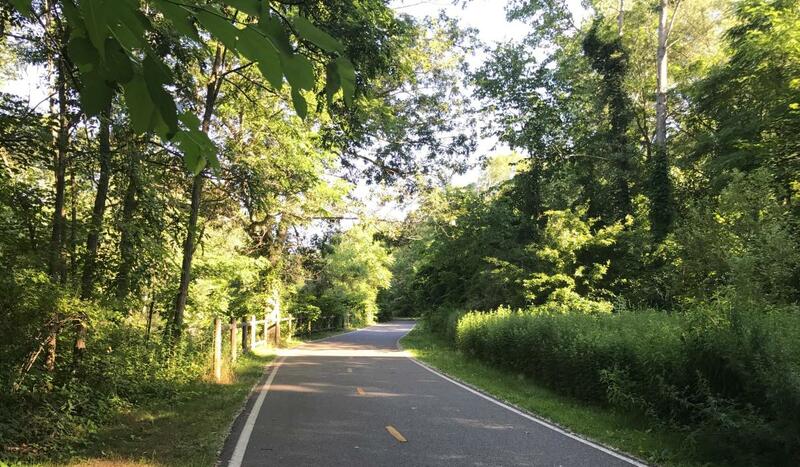 A proposed one-mile extension would connect Slater Park at the Armistice Boulevard entrance to the Daggett athletic fields.